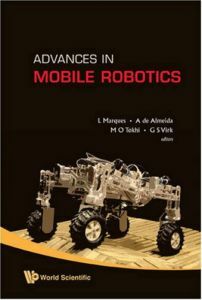 This book provides state-of-the-art scientific and engineering research findings and developments in the area of mobile robotics and associated support technologies. It contains peer-reviewed articles presented at the CLAWAR 2008 conference. Robots are no longer confined to industrial manufacturing environments; rather, a great deal of interest is invested in the use of robots outside the factory environment. The CLAWAR conference series, established as a high-profile international event, acts as a platform for dissemination of research and development findings to address the current interest in mobile robotics in meeting the needs of mankind in various sectors of the society. These include personal care, public health, and services in the domestic, public and industrial environments. The editors of the book have extensive research experience and publications in the area of robotics in general, and in mobile robotics specifically.